What has caused this myth to come into being is the inability of pharmaceutical based medicine to solve problems to which it has no relevance instead of referring the sufferers to other specialists who do have appropriate skills. It is this position of the pharmaceutical industry, "We don't know how to do it; therefore, there is no solution" which has created the meaningless terminologies "Chronic Disease" and "Incurable Disease". It is for this very reason that more and more doctors are turning away from the pharmaceutical based sickness industry and seeking real solutions elsewhere. Here is a very significant example of a real solution which has proven itself to be over 90% effective in a whole host of symptoms and so-called diseases which were, in reality, merely different expression of the same basic problem. This, the first successful expression of the new quantum and oscillation technologies, is the result of 22 years research and development which began in the university of Stuttgart in 1983. The Harmony evolution has successfully established itself on the European market and is now available world wide. The scientific principle upon which this small device achieves it's effect causes your blood to become much more vital and to take up toxic deposits from your joints, muscles, blood vessels etc. and to remove them in the natural way via the kidneys, intestines etc. This vitalisation of your blood also causes nutrients and oxygen to be carried to your cells in much higher concentrations thus enabling regeneration of damaged body parts. 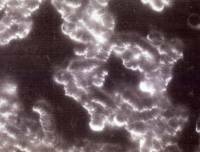 On the left is a photograph of typical unwholesome blood whereby, through bad water, electro smog, stress and similar influences all the cells become stuck together in rolls. In this condition your blood is almost unable to transport either nutrients or wastes and the man from whom this blood was taken was not only very seriously ill but had also been given up by medical doctors as a hopeless case. On the right, is a photograph of classic, perfectly healthy, fully functional blood. A very large difference, you will agree. The difference lies in the wearing of one Harmony evolution for just eight weeks during which time this man experienced an absolutely enormous improvement in his health and well-being. His life which, up to then, appeared to be rapidly approaching an end, began anew. Even his completely collapsed immune system began once again to function. Click here women and men for photos and description. Here's where you can get yours. are not different diseases at all! They are simply the different ways, determined by your personal genetic structure, in which the human body will attempt to cope with the self same problem. "> The problem is high levels of toxic wastes. These are both produced naturally by normal metabolic activity and introduced to the body directly by inappropriate nutrition and "dead" water. Were this all then the body could simply step up it's own detoxification systems and naturally discharge the toxins. Arteriosclerosis or Hypertension: Wastes stored in the linings of the blood vessels, restricting the blood flow and, thereby, forcing the heart to pump harder to increase the pressure and so get the blood through these narrowed points. Arthritis and Arthrosis: Actually, for all intents and purposes, two different names for the same thing. Wastes stored in the joints both distorting the form and damaging the cartilage and ligaments. Fibromyalgia: Wastes stored in the nerve sheaths "scratching" the nerves with each movement. Gout: Wastes stored in the lymph system. Osteoporosis: Acid wastes stored in the bones and daily eating the bone structure away. Rheumatism: Wastes stored in the muscle fibres greatly reducing their elasticity and strength. By revitalising the blood, as seen in the photos above, your tissues will then release the stored wastes back into the blood stream which will then transport them to discharge via the kidneys etc. This is why, for example, many people have dark, strong smelling urine during the first two to three weeks of the use of a Harmony evolution. Normal experience is that virtually all pain will have disappeared during the first six weeks and often much earlier. Please also bear in mind that when your body has, in the natural way, removed the cause of your "illness" your need for medication will gradually disappear. This not only saves money but also has no side effects whatsoever! Each Harmony evolution is guaranteed to function for at least ten years. That the Harmony evolution enables the human body (and animals as well) to conquer and to remove many dis-eases is "merely" a pleasant side-effect of it's use! The real purpose of the Harmony evolution is to bring balance and harmony to all aspects of your life. If one brings the Human Being into a state of balance (and this is what the Harmony evolution actually does) then it will no longer be possible for you to experience a disharmonious life! The three major nerve centres of the human body are the brain, the spinal cord and the abdomen. The abdomen actually has a nerve structure just as complicated as the brain. It is the function of the brain to process intellectual information. It is the function of the spinal cord to process bodily impulses. It is the function of the abdominal nerve complex to process intuitive and emotional information. If , however, the abdomen is choked up with stored wastes then it will not be able to properly carry out it's function. This results in you getting stuck in old traumas, hurts and disappointments leading to emotional constipation, depression and, as it gets progressively worse, your life just going around in circles without getting anywhere. Without exception, all users of Harmony evolutions have reported that they can think more clearly and old hurtful thoughts which seemed to be a life obsession, impossible to overcome, just simply evaporate "overnight". It is precisely this which is the real purpose of the Harmony evolution. The more balanced harmonious and happy people there are, the more peace and harmony will be spread by them across the World. You, too, can be one of these harmonious, peaceful and happy people! Now! There's nothing to be gained by delaying: The Harmony evolution is not going to get cheaper (it might even get more expensive). At the moment, there is no waiting list for delivery; this can also change! Do it now! You owe it to yourself. If you are for any reason (or no reason) dissatisfied with your Harmony evolution you may return it at any time within three months for a complete 100% no questions asked refund. 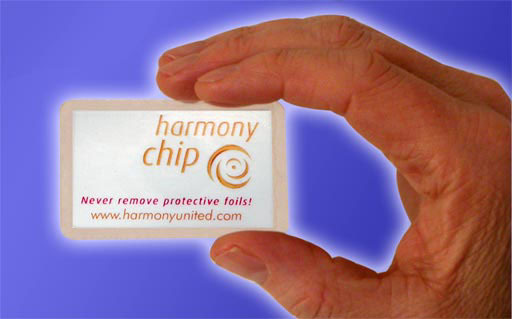 Each Harmony evolution is guaranteed to function for at least ten years! Your no-risk order form is here. For a free, personal, consultation please click on this link.